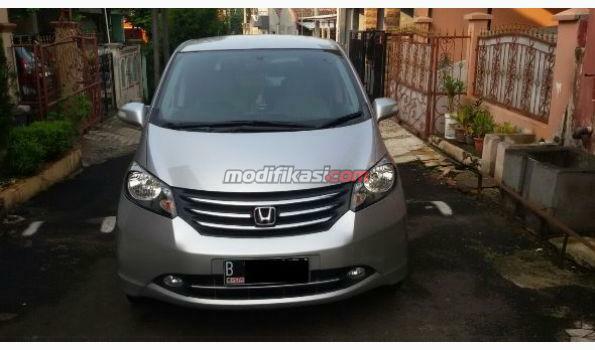 Bismillah: Honda Freed PSD Honda Freed AT PSD 2011 Silver color of 2013 Electric Sliding Doors Service records. Mesin kaki2 Ban Bagus Rear camera parking, there is a GP.. Freed S SilveR 2014 Good ConditioN TDP Hanya 10jt Warna SilveR Tahun perakitan 2014 Transmisi Automatic Type S Ac double Pintu 1 Sliding door elektrik Interior Orisinil ..
Jual: Honda Freed (Face Lift) PSD A.T Thn 2012 Polished Metal Metalik AC Digital TV 5 unit Sound System VR/PSD/Ban Tebal Service Record Bengkel Honda Resmi Kwitansi2 .. Freed S AT KM 67.000 Warna Putih AC double blower Pintu kiri sliding elektrik Tangan pertama Th 2013 pemakaian 2014 (KTP Bisa Pinjam) Service record lengkap bengkel resm..